Mewalker Workout Weight Bench, Adjustable Sit Up Utility Bench Trainer Exercise Workout AB Bench for Home Gym (US STOCK) by Mewalker at Strongman Pictures. Hurry! Limited time offer. Offer valid only while supplies last. 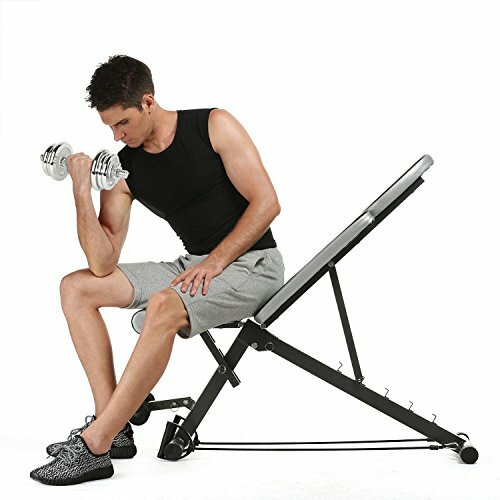 Mewalker Workout Weight Bench, Adjustable Sit Up Utility Bench Trainer Exercise Workout AB Bench for Home Gym Features: Foldable for easily storage.